Before you take any steps, you’ll need a twitter account. You can’t sign up through TweetDeck, so you’ll need to go to Twitter.com and create an account. Once you’ve created an account, fill out your profile and update your privacy settings. Next, create a simple list to use when testing TweetDeck. 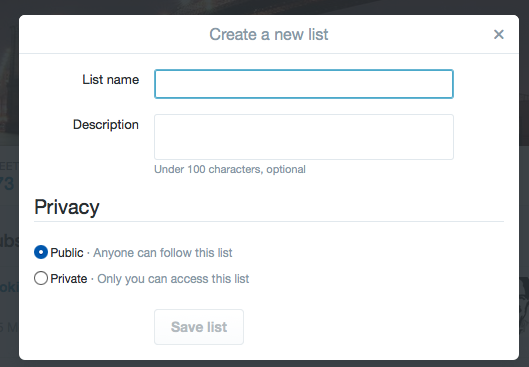 The most powerful TweetDeck column is “List,” and you should use it extensively. Any list that you set up in Twitter will be viewable in TweetDeck but, frankly, it’s easier to create and populate your lists in Twitter. Friends and Family: If you will be using one account for both work and personal use, you can create a private list for your BFFs. Team Members: Add everyone on your team or in your company. Too many departments? No problem, you can create a list for each. Sources: Make sure you don’t miss any news from your key sources of information. Most Engaged Followers: Keep track of those who regularly re-tweet your posts, particularly those with large followings of their own. Competitors: There are other people on the playing field with you. Keep an eye on what they’re communicating. To create a list, just click on your profile image — an egg in the top right corner, if you haven’t added your profile image yet. Next, give your list a name and, if you’d like, a description. Select whether you’d like the list to be “Public,” or viewable by anyone, or “Private, meaning viewable only by you when you’re logged in. 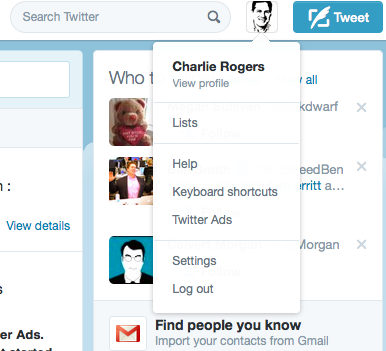 If you log in through TweetDeck, you’ll still be able to view your list. You don’t need to follow someone to add them to a private list. 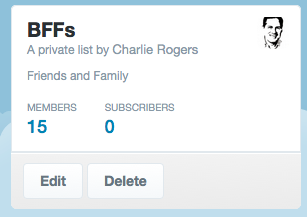 When you create a new list, click the “Private” button. You can also make private any list you’ve already created by clicking the “Edit” button in the top left corner. If you want to change your list’s name, description or make an existing list private, you can click the Edit button in the upper right corner of the list page.